Social Security Numbers are created and distributed by the Social Security Administration according to specific guidelines. Each of the three parts is numbered according to a specific scheme. The first three numbers constitute the Area Number and are determined by geographical region. The Area Number is based on where the Social Security application was submitted and may not correspond to the place of residence of the applicant. Area Numbers were allocated starting in New England and generally increased going westward. Therefore, people applying for Social Security Numbers on the East Coast generally have a lower Area Number than those applying in the Plains or the West Coast. The Group Number is comprised of the middle two digits in the Social Security Number. These can range from any number from 01 to 99. Group Numbers are assigned in each area using a special order developed by the Social Security Administration. First assigned are odd numbers 01 to 09 followed by even numbers 10 to 98. 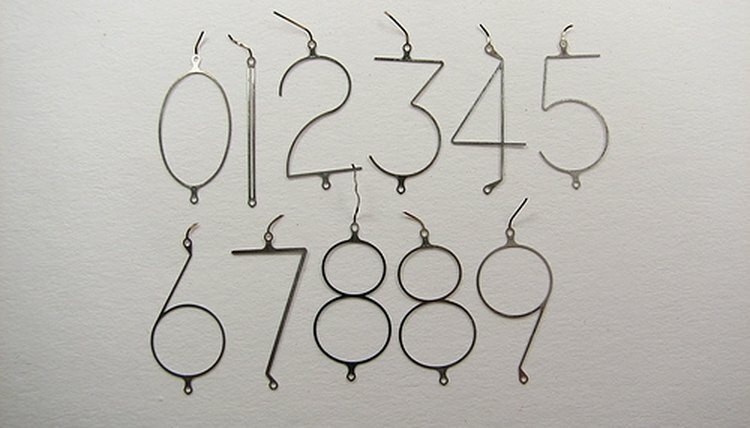 After all of these numbers have been used, even numbers 02 to 08 are used followed by odd numbers 11 to 99. The last four digits of a Social Security Number are called the Serial Number. These are simply assigned in consecutive order from 0001 to 9999. Sallie graduated with a BA from the Michigan State University Honors College and now works with her graphic designer husband. Sallie's writing has appeared in The Grand Rapids Press, Christian Home and School, ParentLife, The Standard, and Student Leadership Journal. She has written extensively for corporate clients worldwide. Schaaf, Sallie. "What Do the Segments in Social Security Numbers Mean?" , https://legalbeagle.com/5819456-do-social-security-numbers-mean.html. Accessed 21 April 2019.